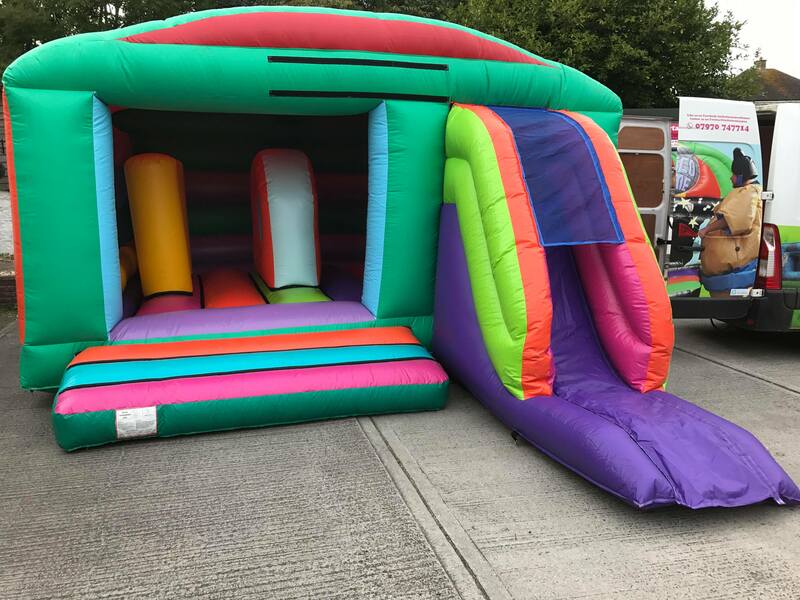 One of our largest bouncy castles and definitely one the kids will enjoy. 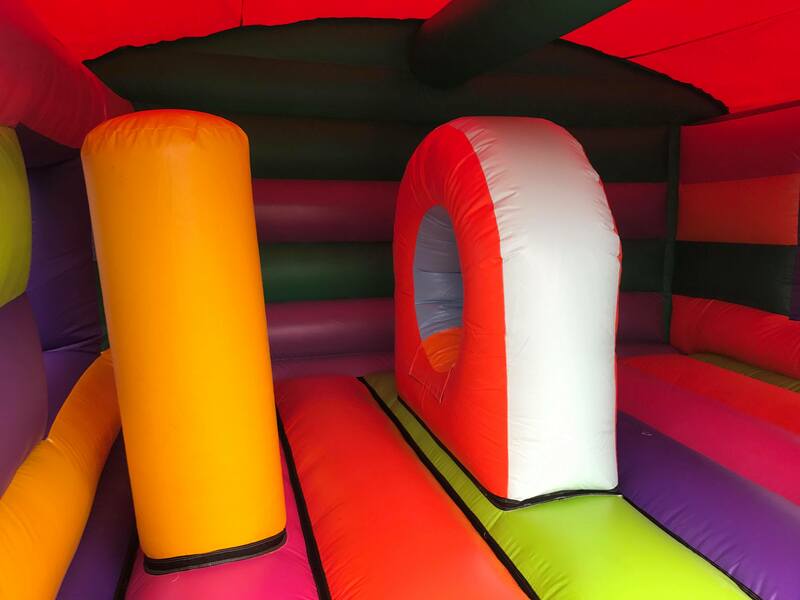 All vibrant colours and with added biff bash and climb through an obstacle, including a good enough bouncing area leading to the slide. Complete with shower cover. New for 2018 so book early to avoid disappointment. No equipment is considered ?? ?booked out??? until the necessary 25% deposit has been paid. If this has not been paid before the day of hire, R&R Entertainment reserve the right to cancel without notification.